The Murphy Prototypes Endurance racing team is pleased to announce its driver line up for the third round of the European Le Mans Series, this Sunday’s (17th July) 4 Hours of Red Bull Ring: Karun Chandok, Guglielmo Belotti and Seán Doyle. Returning to drive for Murphy Prototypes for the first time since he helped the team score an impressive fifth in the LMP2 class at Le Mans last year – is C4 F1’s technical expert and co-presenter Karun Chandok. 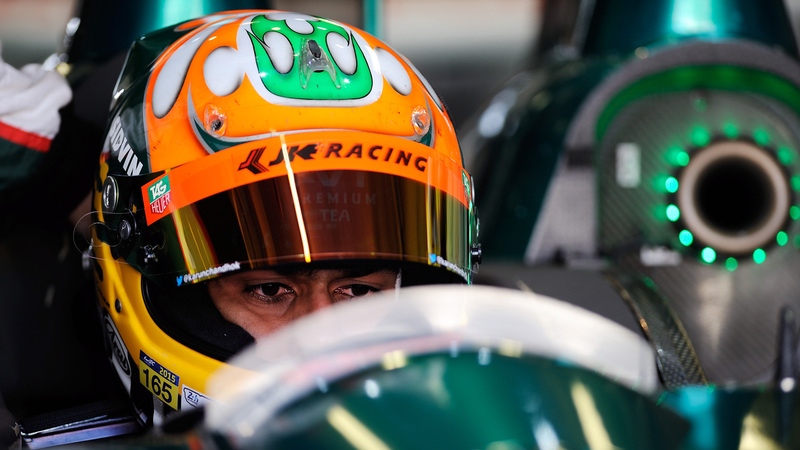 One of only two drivers from India to compete in Formula 1, Karun was the first ever Indian driver to start Le Mans in 2012 and went on to race for the Murphy Prototypes team there in 2013, 2014 and 2015. Having confirmed his intentions, Karun said: “It’s great to be back ‘super-subbing’ for Murphy Prototypes this weekend. I haven’t had the chance to compete in Sportscars since Le Mans last year, so when Greg called to ask if I could fill in for him, I was happy to take the opportunity to race with the team again. It’s always great fun working with the guys from Murphy Prototypes. Joining the team for the very first time this weekend is Italian driver Guglielmo Berlotti. An experienced competitor in Sports Prototypes, the Bergamo-based businessman started racing in 1986 and has scored notable results and class wins in the Speed Euroseries before going onto win the 6 Hours of Rome in 2015. Having competed with the team in both previous ELMS rounds, Nissan Ireland Next Generation sporting ambassador Seán Doyle gets his third outing of the season. The 22-year old from Wicklow has already showed his potential by setting lap times commensurate with drivers with far more experience, as well as winning numerous races and young driver awards in Ireland. “I’m very pleased to have Karun back with us for this event. We know him well and he just slots back into the team and always does a great job for us. We’re fortunate to be able to attract such high profile drivers. It’s something we’re very proud of. The three drivers will compete in the team’s familiar #48 Nissan-engined Oreca 03R LMP2 car, which has been fully rebuilt having successfully completed the 24 Hours of Le Mans for the third time last month. Action at the 4.326 km (2.688 mile) circuit that is located near Spielberg in the Styrian Mountains and hosts the Austrian Grand Prix, begins with a 90-minute Free Practice session on Friday afternoon followed by another on Saturday morning. Qualifying for the LMP2 category takes place between 13.30 and 13.40 on Saturday, with the four-hour race getting the green light at 14.00 on Sunday (all times are CEST).